Canada immigration is helpful for you in attaining your life’s aspirations and dreams. People want to know what will be the future of express entry in the 2 years to come. The candidates will file their express entry applications based on the same. The country of Canada is now showing a favor for that candidate who already has experience in this country. So, the immigrants should take this point into account when they decide to file a PR application. However, this attitude is not prevalent in all the provinces. Some provinces of Canada like Nova Scotia and Saskatchewan, are still looking for laborers not having experience in this country. Canada needs ICT graduates in these regions and these kinds of skilled laborers won’t have any problems in finding jobs here. As part of a report, which was released, the requirement for this kind of labor is up to, 1,90,000. It’s important to know that the government has also increased the target for the immigrants who will be allowed to get into this country. So, due to the high demand for this kind of laborers, it’s better to understand, that there are ample opportunities as per the express entry system. In the Express Entry draw in April, 3500 immigrants were selected. It’s the most opportune time to get the Canada PR right now because the government has loosened up the strict conditions. There are 15 points which are now given if you have your blood relatives who are a part of Canada. So, you can get the highest of points as per these changes. Apart from that, the Canadian government has also removed the condition of getting a job. It’s better to, apply to Canada right now, than any other time because the government is not discerning in favor of those who have jobs here. Earlier, so much time getting wasted for immigrants in finding a job here before getting the immigration. The points which are given for a job here now are just 50. So, the people need to relax and can file Canada immigration even worrying about getting a job first. Canada immigration can make your life simpler and easier. First, the people here are known for their kindness and compassion. You won’t have had to face any kind of nonsense here. Then this country is great for raising for kids also, because of the exemplary education system here. The CRS score has increased from the last year and moved up to 444. The score is not likely to decrease much and reach less than 370 because the number of immigrants which would qualify in that case won’t be handled by the Canadian government because of the large resources required. People who are expecting to get into Canada with this much score would have a skill which is required here. Their profession should be a part of a Province’s occupations-in demand list. This way only they can think of immigrating. Anyways without having much knowledge about the qualifying score also, you can hope to file the PR application because there’s no cost for it. With only 322 CAD required for ECA and Rs 11, 300 the cost, of IELTS, Rs 25,000 isn’t much of expenditure for making your express entry application a reality. 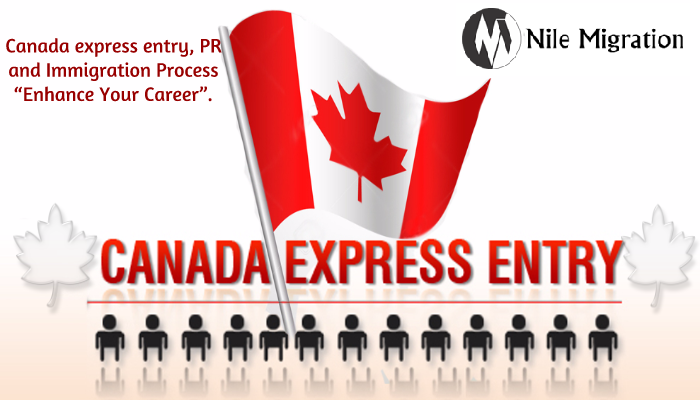 canada express entry Express entry system. permalink.